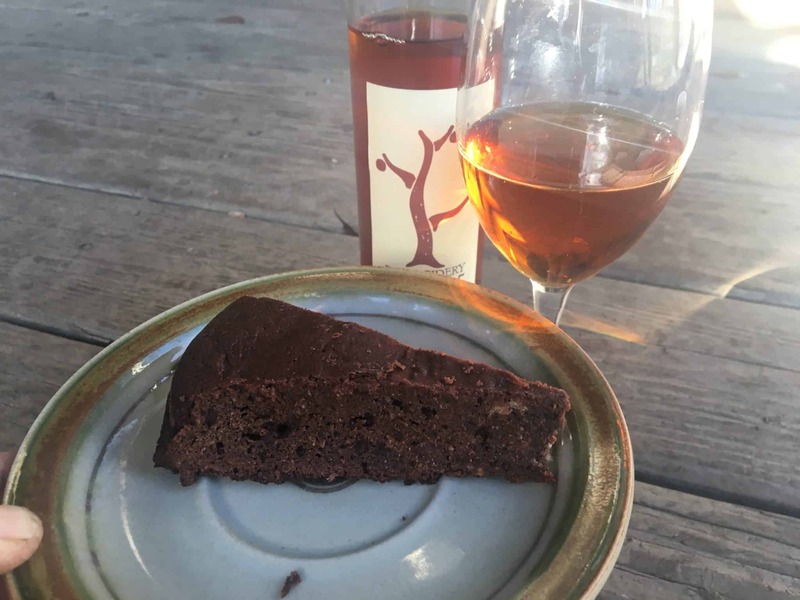 One of my favorite dessert pairings of all times is a wedge of simple not-very-sweet chocolate cake (especially spicy, cinnamon chocolate cake) and a glass of ice cider. In this (gluten free) cake recipe, we celebrate the mighty chestnut tree. 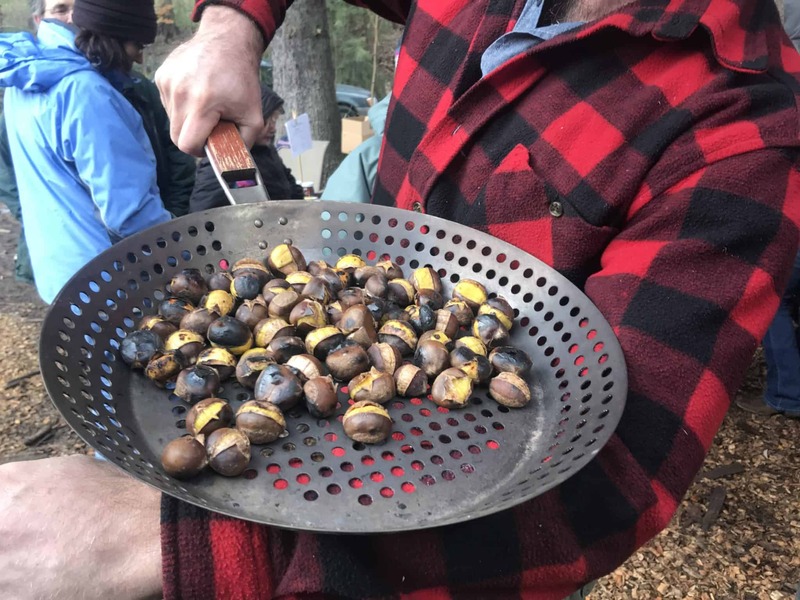 If you want to learn more about how amazing chestnut trees are, the people who are working to bring back the American chestnut, and why we should be replacing annual grain with tree crops, check out our friend and neighbor Akiva Silver over here on his youtube channel. In a mixing bowl, whisk egg yolks and the salt until pale and thick. Stir in the warm chocolate and spices and set aside. Put egg whites in a clean bowl and beat until fluffy. Stir chestnut flour into chocolate batter, then fold in the egg whites and scrape batter into an unbuttered 8-inch springform pan, smoothing top if necessary. *this cake is not sweet at all, so if you like it sweeter, add up to 1/2 cup sugar to the batter in step 2.